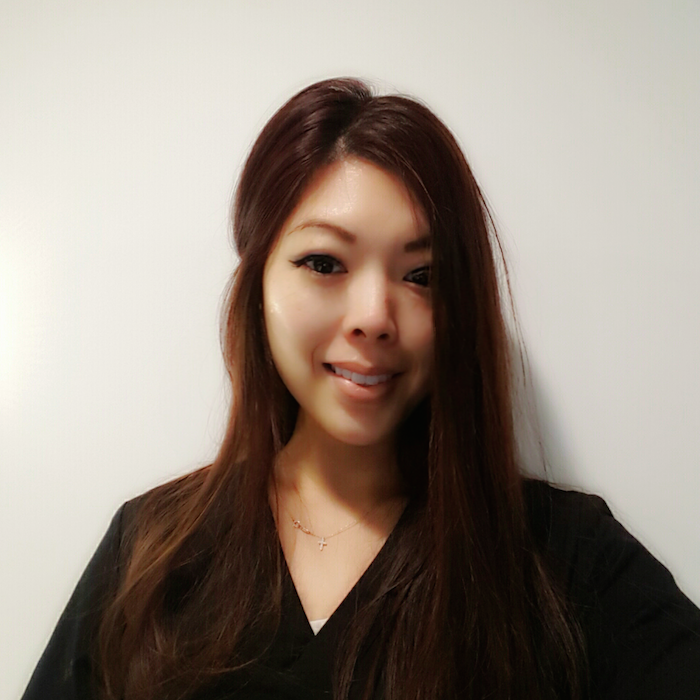 Home / Blog / Silver Mirror’s Pro Skincare Regimens – Christina K.
Silver Mirror’s Pro Skincare Regimens – Christina K.
Silver Mirror Skincare Pro: Christina K.
Korean skincare isn’t new to the U.S. anymore – by now, you’ve probably heard about the Korean 10 step skincare regimen. In my opinion, it’s better to use fewer products if that ensures you will be consistent with your routine. I’ve worked closely with plastic surgeons and dermatologists who use a variety of products on their clients, and I’ve worked on different skin types/conditions. Through my years of experience, I have learned that what works for one person may not work for another. That is why it is really important to find what works for you and be consistent with your regimen. In this post, I’m sharing my own simplified version of the Korean skincare regimen from the standpoint of a Korean American. A few important things to keep in mind is that not everyone’s skincare regimen will be the same and you don’t have to use Korean skincare brands or follow a long routine every day to achieve results. It is also important to read the ingredients on the product label and do your research, as your skin is the largest organ in your body and what you put on it can affect your overall well-being. I use coconut oil to remove my makeup. Dab just a few drops on a cotton pad and gently wipe the area. It’s the best beauty hack to dissolve stubborn waterproof eye makeup without irritating the skin. I use the Aquaporin Moisture Foam Cleanser from Tony Moly in the morning and night. I swap it out with Sanitas’ Vitamin C Lactic Cleanser 2-3 times a week to cleanse and exfoliate. The lactic acid in this cleanser is very gentle and removes the dead skin cells while it hydrates and brightens my skin. This is considered to be the most important step in Korean skincare regimens. Essence adds a layer of moisture to skin and allows the following skincare products to be absorbed better. I use the Missha Time Revolution The First Treatment Essence morning and evening – it’s similar to the essence from SK-II but only a third of the cost. It’s a must if you want the dewy skin look. AM: I absolutely LOVE SkinCeuticals’ CE Ferulic. It neutralizes free radicals that cause premature aging issues like fine lines and photodamage, and the combination of vitamins C & E does wonders for the skin. I apply about 4 drops to my face and neck every morning. Once absorbed it stays effective for about 72 hours so you won’t need to re-apply at night. It’s a bit pricey so don’t spend an arm and a leg for a cleanser or moisturizer – save your money for antioxidants like the CE Ferulic, which will be worth it in the long run. PM: At night I like to use SkinCeuticals’ Hydrating B5 Gel. This is another one of my all-time favorites. It contains hyaluronic acid, which is your body’s natural hydrator, to help bind moisture to the skin. I apply about 4 drops right before my moisturizer to provide an extra boost of hydration. It’s oil-free and great for acne-prone skin too! AM: I won’t leave my apartment without applying Sanitas’ Solar Block SPF 20. It’s a mineral-based sunscreen which contains zinc oxide to protect from the UV rays. It’s super light and doesn’t leave my face oily or greasy. Keep in mind that sun damage can take up to 10 years to show up on the surface so always protect your skin! PM: With every change of season I like to switch up my skincare. I was in search of something more rich and hydrating. My go-to at the moment is Atopalm Intense Moisturizing Cream. I like it a lot because it doesn’t feel greasy or heavy and I love how my skin feels when I wake up in the morning. I’ve been using coconut oil for under my eyes in the morning and night. I’ve probably tried every eye cream on the market that claims to banish dark circles and bags. Nothing worked! Coconut oil has been super hydrating for my under eyes and it’s also known to encourage the production of collagen. So far, it’s the perfect eye cream without breaking the bank. I mix about a drop of coconut oil with a small amount of my moisturizer and gently dab it under the eyes with my fourth finger. I stick to my skincare regimen religiously and get a professional facial or give myself one every 2-3 weeks.